In this theoretical study, two-joint equilibrium muscle contractions were simulated to determine the end-point forces created by the hand of the human right upper limb within the horizontal plane. For invariable frontally directed end-point forces, 3D surfaces simulating joint torques (JTs) at the shoulder and elbow joints are reconstructed by defining the characteristic angles (CAs) between the frontal axis and lines from the joint axes to the end-point. The 3D shoulder JTs are presented by planes oriented perpendicularly to the sagittal plane with a downward sagittal skewness; the elbow JT surfaces are essentially nonlinear, showing higher gradients within the left half of the working space. Oppositely directed end-point forces demonstrate the invariance of the JT surfaces that turn about the zero-torque plane while keeping their shapes. Differences between the JTs in the same curvilinear trajectories of the movements (concentric circles) are also analyzed; generation of unvaried (frontally directed) and changed (tangential) end-point forces are compared. Despite the fact that a symmetric pattern in the shoulder JTs is maintained, a transition from the frontal to tangential forces essentially influences the asymmetric pattern of the elbow JTs. The obtained results are discussed with regard to the control of multijoint movements of the limbs in humans. T. Tomiak, T. I. Abramovych, A. V. Gorkovenko, et al., “The movement- and load-dependent differences in the EMG patterns of the human arm muscles during two-joint movements (a preliminary study),” Front. Physiol., 7, No. 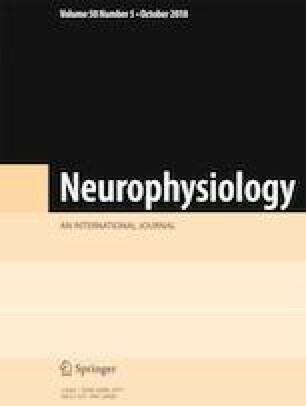 218 (2016); doi: https://doi.org/10.3389/fphys.2016.00218. T. Tomiak, A. V. Gorkovenko, A. N. Tal’nov, et al., “The averaged EMGs recorded from the arm muscles during bimanual “rowing” movements,” Front. Physiol., 6, No. 349 (2015); doi: https://doi.org/10.3389/fphys.2015.00349. A. I. Kostyukov and T. Tomiak, “The force generation in a two-joint arm model: analysis of the joint torques in the working space,” Front. Neurorobot., 12, No. 77 (2018); doi: https://doi.org/10.3389/fnbot.2018.00077.